Welcome back to the AutoAid Blog as we continue our discussion of common (and commonly confusing) dashboard warning lights. Ever see a light you didn’t recognize on your dashboard? Is one lit now? Not sure if your vehicle is safe to drive? If your check engine light is illuminated and you’re not sure why, check out Part One of this article for the lowdown on the CEL, or just swing by AutoAid in Van Nuys and let us check it out. If you have some other dashboard warning light illuminated, read on and get illuminated yourself! The battery warning light usually appears when you start the car, and then vanishes. If it stays on, or appears while driving, it could be an issue with your battery or with your alternator, or with the drive belt that powers the alternator. In any case, a battery warning light shouldn’t be ignored, especially at night when headlights and other components cause a higher strain on the battery. If your battery is more than 2 years old, it may need replacing – if not, then the alternator is the most likely suspect. AutoAid can test your battery and alternator function and let you know for sure. Another of the lights that you see when you start the engine, and hopefully never again. If you see this light while you’re driving, stop and check your oil. If it’s low, top it up, and start the engine again. If you weren’t low, or if this doesn’t fix the light, it could be a more serious problem, so give AutoAid a call. 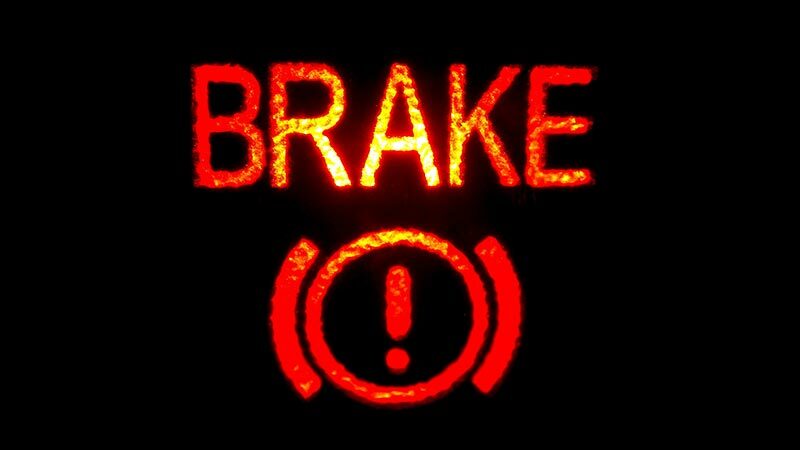 This light indicates a problem with the anti-lock braking system in your vehicle. It doesn’t (generally) mean that you have no brakes at all, but vehicles that have an ABS system do rely on it to stop safely, so let the experts at AutoAid in Van Nuys check it out ASAP. If this light illuminates either alone, or along with the ABS light, you need to stop – if you can. This indicates a problem with the braking system, and it is not safe to drive with this light on. Try to let the car slow on its own, on a hill for instance. Don’t brake suddenly. If you find yourself coasting downhill without brakes, pumping them can sometimes build up pressure to slow the vehicle, and the handbrake will also help. Stop as safely and as slowly as you can and get some help. For more essential car care knowledge, stay tuned to the blog here at AutoAid of Van Nuys and if you have a dashboard light puzzling you, contact us online or call (818) 305-6632.